Google finally revealed Android N, which is Android Nougat, not Nutella, the name predicted by most of Android lovers before. 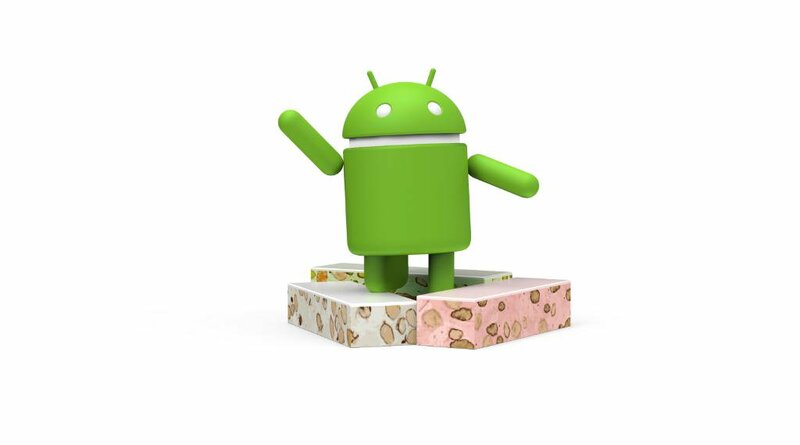 Google revealed Android Nougat on June 30th , 2016, Google asked for suggestion for the name during Google IO in May. As we already know Android Nougat will have cool features like Multi-Window Support, The Notification Shade, Improvement in Doze Mode, Better Data Saving, and new settings menu. Android Nougat which will be available later this summer, can be downloaded as beta from google developer website. 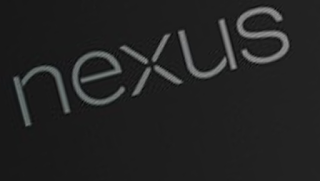 Android Nougat preview is available for Nexus5X, Nexus 6P, Nexus 6, Nexus 9, and Nexus Player. 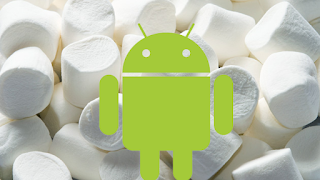 Google announced today that name of new Android M is Marshmallow. Next version is believed to be released this fall. With the announcement of Android M Developer Preview in May at Google IO, the guessing started for the name of next version of Android. However Android M was called Android Macadamia Nut Cookie (or MNC in short) internally as seen during Android 6.0 SDK update, Google officially announced that it’s Android Marshmallow. New android version will have several enhancements over the Lollipop version. Besides new exciting features include, better permission management, Android Pay and USB Type-C support. 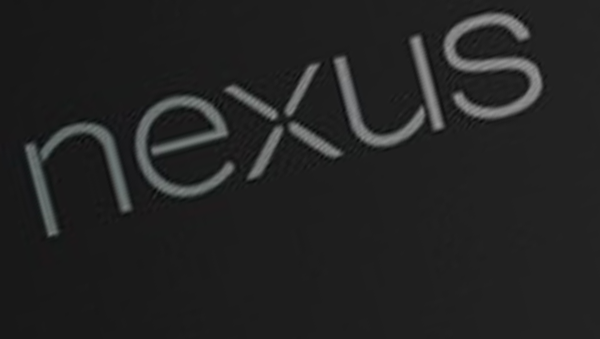 Android Marshmallow will be released soon with new Nexus Devices form LG and Huawei. Android is one of the top mobile operating systems. With over 1.5 million android apps, android devices are so popular that we have apps for almost everything. Don’t you think it would be a great to have android apps running on your computer? Yes, you are right. We can run android apps on computers. 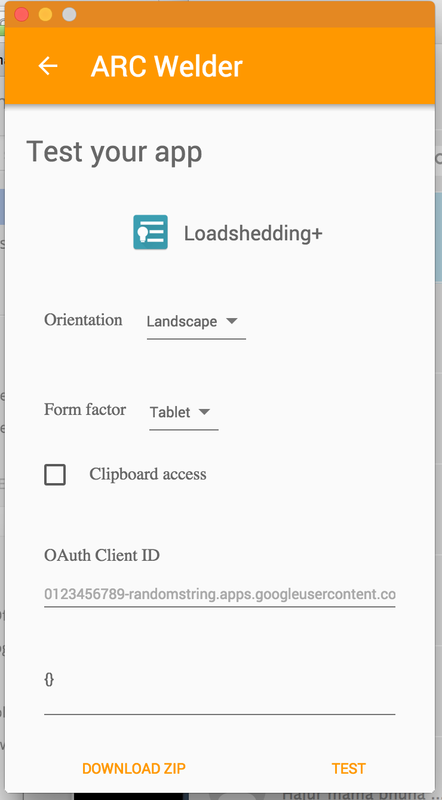 There are various ways of running android apps on computer but Android Runtime for Chrome allows you to run android apps on computers on Chrome . 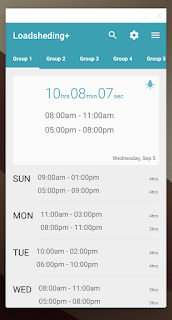 Android Runtime for Chrome, also called ARC, allows you to run Android apps inside chrome. ARC has been a major development in the process of bringing android apps to Chrome OS. You can use Arc with Chrome on Windows, OS X or Linux. You can download ARC Welder app for Google Chrome from Chrome WebStore. 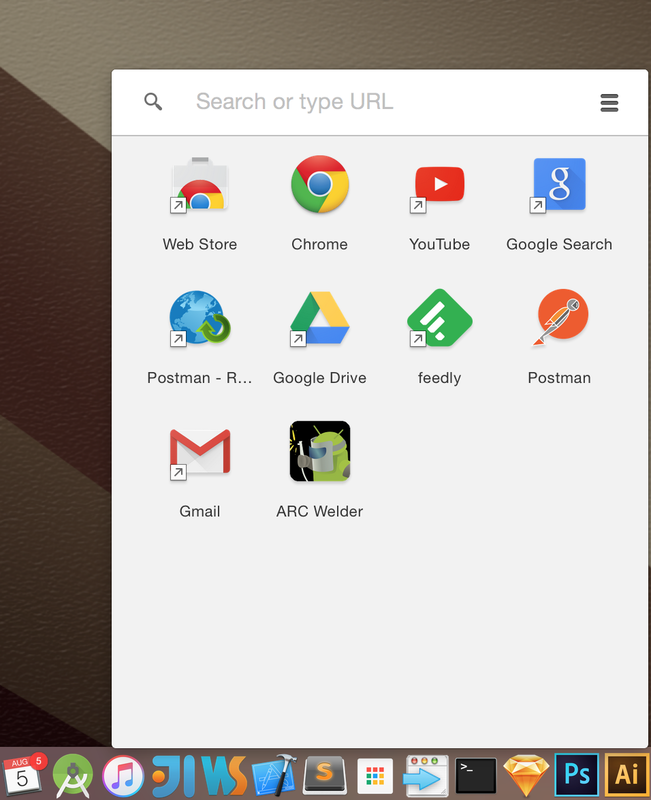 After you download ARC Welder app it will appear on your Chrome App Launcher. Click on it and add APK file. 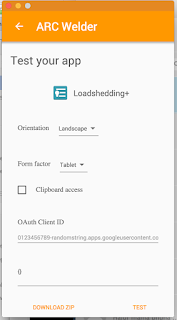 I used Loadshedding+ apk file. 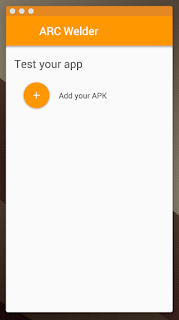 We can not download apk files directly to computer form play store but we can get apk files from various sources. For example, you can use websites like downloader-apk.com for downloading apk files. Once you have downloaded added the file you can select Orientation and form factor. Then click Test. 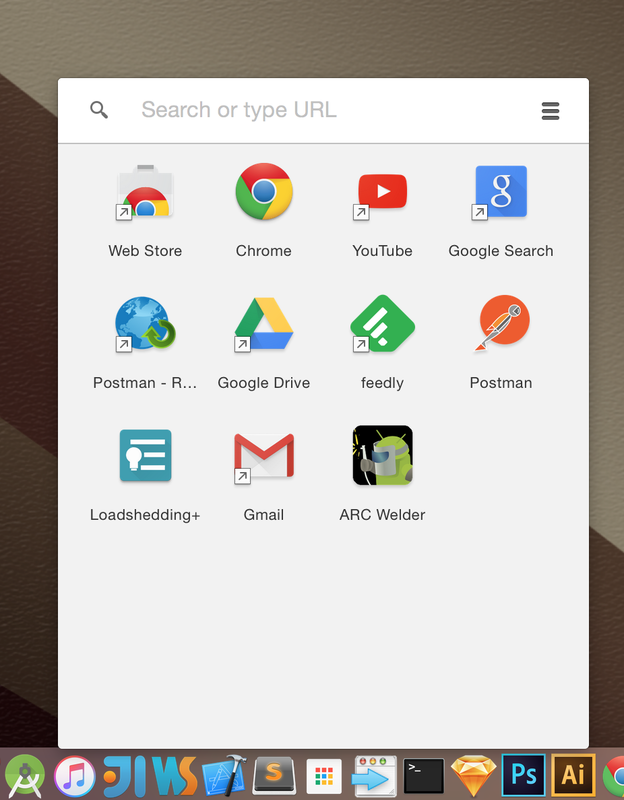 The App opens and you can enjoy your favorite android apps on Chrome. 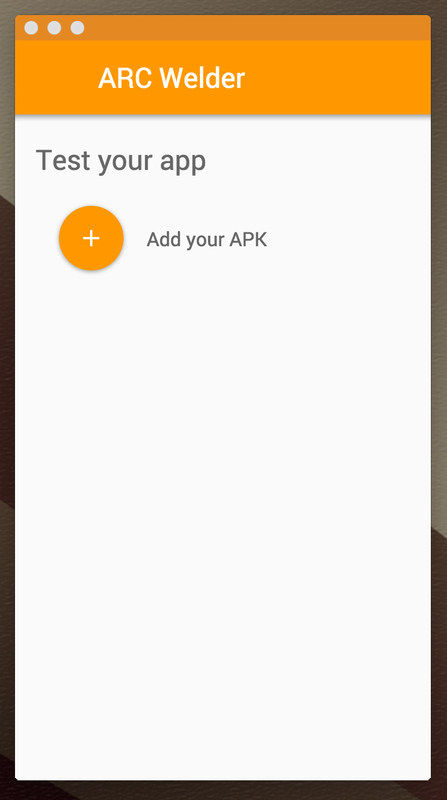 Then the app is also pinned on Chrome app launcher so that you can launch the app clicking the app icon later. Now download your favorite app and run on Chrome browser. 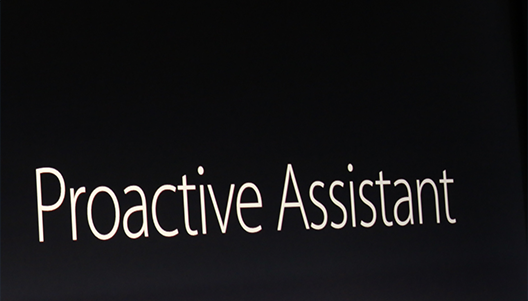 At WWDC today, Apple announced new update to Siri, described as Proactive Assistant. It will be launched with iOS9. 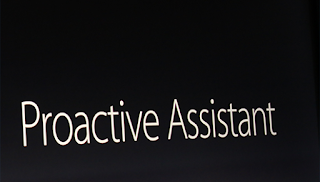 The proactive assistant is a personalized assistant app that will enhance the mobile experience through voice commands. Proactive will be able to infer the commands based on your personal information on your device such as emails, calendar events, or your Passbook information. Proactive assistant seems to serve the same purpose as Google Now does but with focus on privacy. It will be anonymous, and the search will not be associated with Apple ID, hence maintaining the privacy.